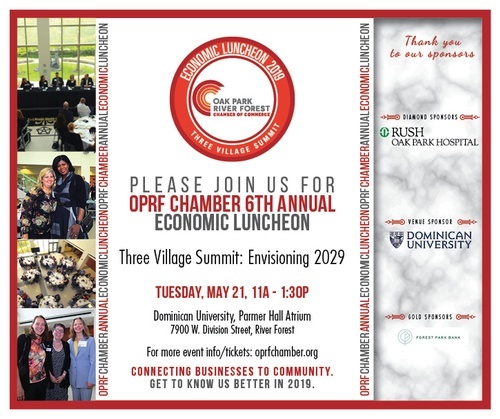 6th Annual Economic Luncheon: Three Village Summit - Envisioning 2029 - May 21, 2019 - Oak Park-River Forest Chamber of Commerce, IL ? What is the Economic Luncheon? Part of our Q2 Professional Development Series, the 6th Annual Economic Luncheon gathers area top business + government leaders to discuss and learn about business issues that matter most. 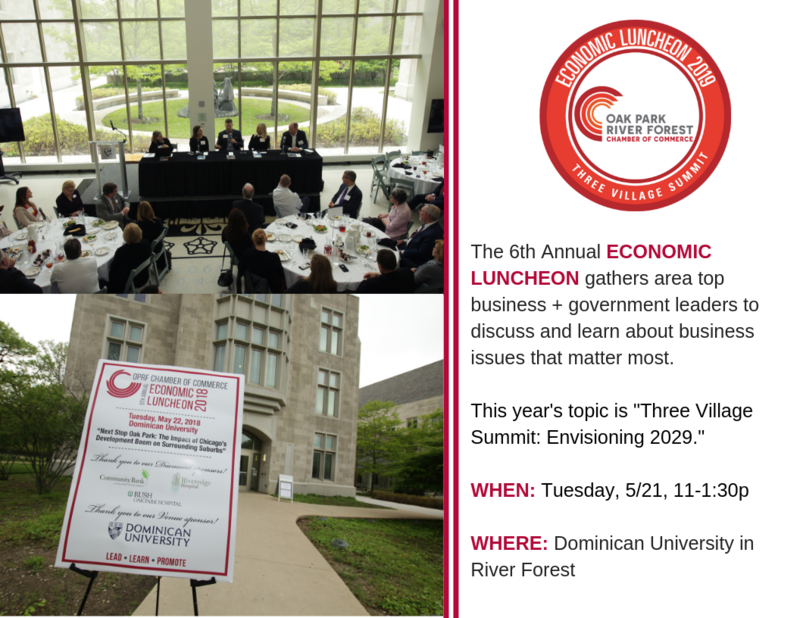 This year’s topic is “Three Village Summit: Envisioning 2029.“ The event takes place at Dominican University in River Forest. How can I attend? Chamber members attend this annual event for its networking + coverage of big topics affecting local business. Tickets, which include luncheon and program, can be purchased on event registration page via green "Register Now" link. How can I sponsor this event? 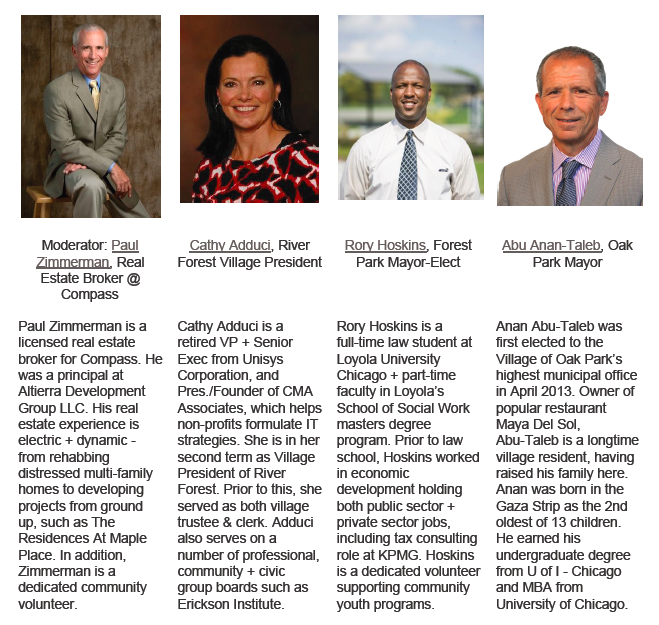 This event puts your brand front and center at a gathering of ~170 area business and civic leaders. Your sponsorship gets tickets to the event and grants access to this group in an intimate and relaxed setting. Learn more BELOW. Purchase sponsorships via green "Register Now" link on event registration page. Or contact us for more information. Volunteer spots for this event are FULL. Thank you for your support. Volunteers check-in attendees/help as needed on day of the event. Complimentary Parking: View map of Dominican campus here to locate Parmer Hall and nearby parking. All tickets include luncheon + program.